Laura had been unhappy with the appearance of her 5 old veneers for quite some time. 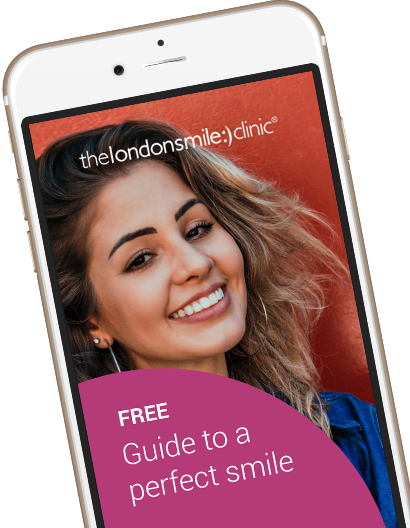 They were placed when she was 13 so were 15 years old when she came to see us at The London Smile Clinic. 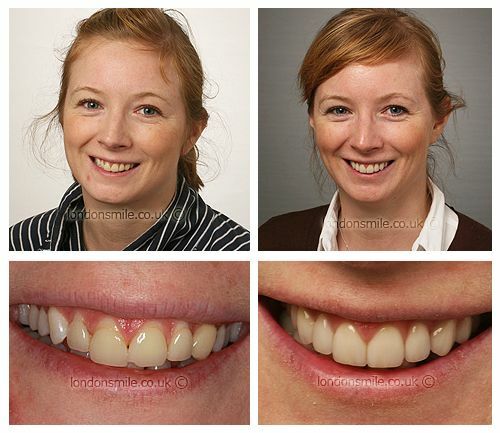 Eight new veneers were placed and a gum lift procedure on two teeth gave Laura her new improved smile. I had 5 veneers when I was 13 on the NHS after being told I could not have a brace. I chipped one of them when I was 18 and over time my gums receded and the veneers were in bad condition. I decided it was time to bite the bullet and get my new teeth sorted. A gum lift on 2 teeth and 8 veneers. I fell asleep during two of my appointments so I must have been pretty relaxed! I’m really pleased it has exceeded my expectations. I keep saying to my friends “look at my teeth” and pulling a snarling face at them so they can get a closer look. I am so much more confident with my smile and laughing, which I now like to do a lot. Everyone was really friendly, the reception staff always remembered me and it felt like a friendly and relaxing place to be.